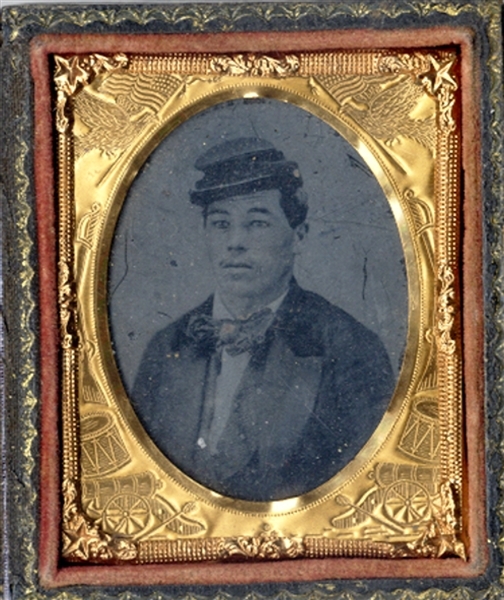 1/9th plate ruby ambrotype of soldier ID as John Putney Company F, 51st Regiment, unknown state. In case. Very good condition.